Cool, pale and contemporary this fully woven suite combines a dense, chunky weave of natural bleached banana leaf with plump high backed cushioning for modern comfort. The combination of square and curved lines give a fantastic shape that will look great in any room of the house. 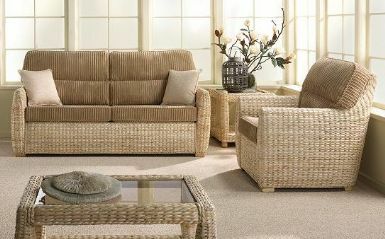 Another classic addition to our range, Malta is sure to appeal to rattan lovers of all ages.